"I got a little bit more than I expected." Sure, otters may look pretty darn adorable — but as with most wild animals, it's best to keep your distance. That's a lesson Rory MacPherson recently learned the hard way. While on a rainy day drive in Scotland on Monday, MacPherson spotted an otter out for a stroll on the road. Having never seen one up close, he decided to pull over and approach to take her photo. The encounter, however, quickly got a little ugly; this otter was having none of it. 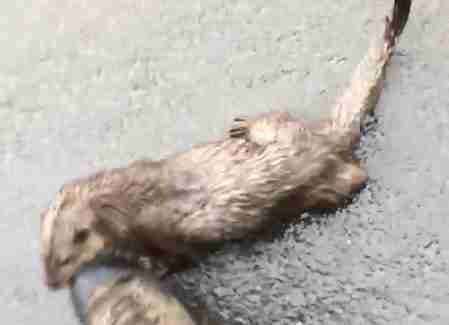 As this cautionary video shows, MacPherson's delight soon turned to terror as the displeased otter sent him packing. "It's not often you see an otter, never mind get the chance to photograph it," MacPherson told BBC Scotland. 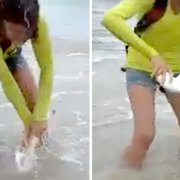 "I assumed it would run away pretty quickly but I got a little bit more than I expected." While the ottercation might not have yielded the Instagram-worthy snap MacPherson may have been hoping for, his video serves as a valuable reminder to respect wildlife by not getting too close — for their safety, and often for our own as well.